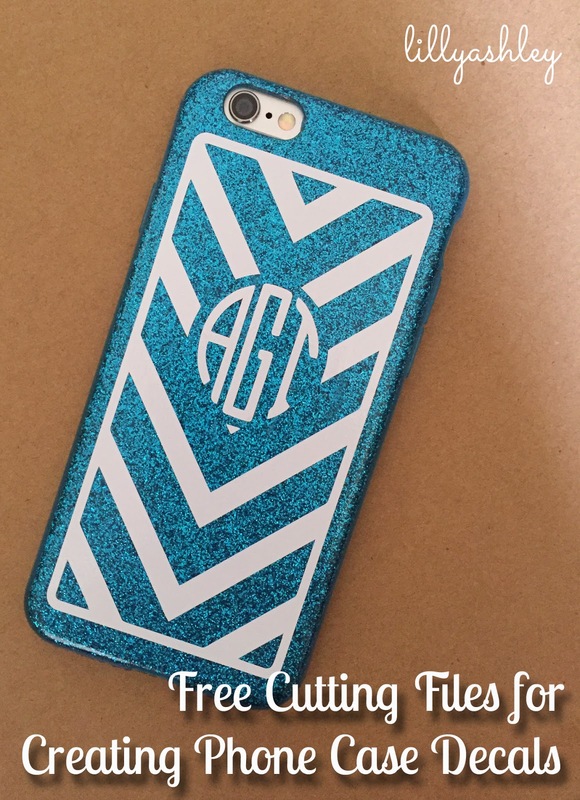 Today I'm sharing a few freebie cutting files that I came up with to decorate my phone case. After a few months with my new phone, I still haven't been able to find a case I really like. Since I can't bring myself to pay big bucks for a super fancy waterproof case, I've just been making do with the case I went out and bought because it was cheap and because I needed something to put on the phone until I "found the right case". Well...a few months later and I have yet to find the right case that won't cost me an arm and a leg. Soooo, I came up with some designs to decorate my case. 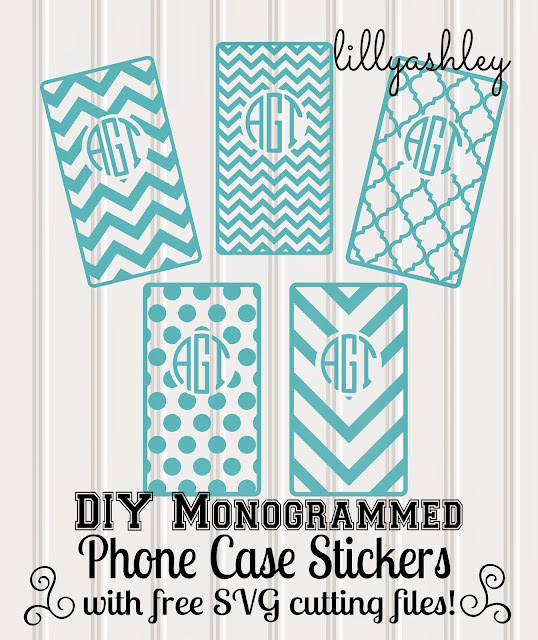 I like the cases that have monograms, so I left a center hole in my design to add a monogram. I used 651 white vinyl, so far so good! There's some great tutorials out there on how to create these circle style monograms in Silhouette Studio, check those out! I found a few good ones by Googling circle monogram with Silhouette Studio. 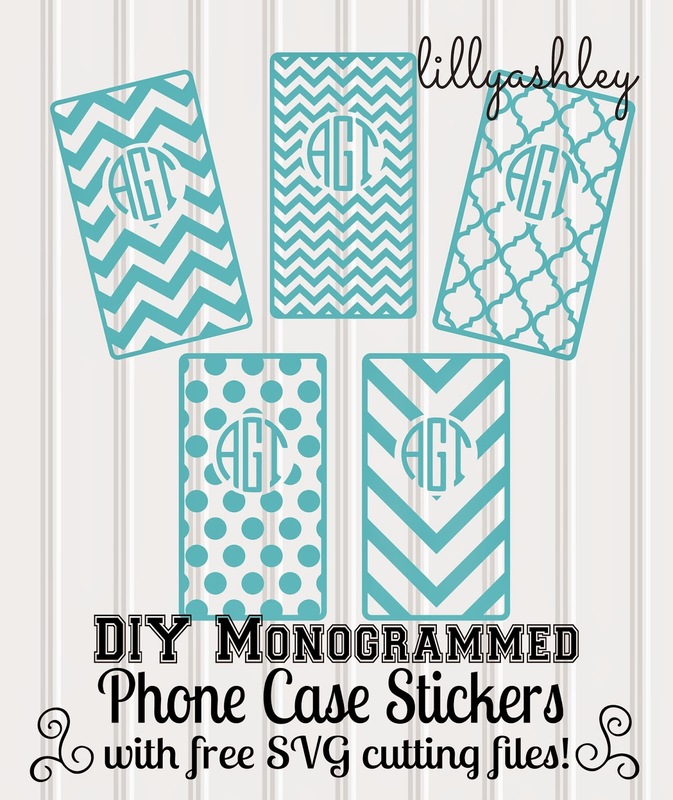 Since every phone and phone case is a different size, these will need to be stretched some to match the dimensions you need to fit on your case. The design will still be good even with a little stretching! There's two separate download folders that each contain JPG format (for tracing when using Standard Edition of Silhouette Studio) as well as SVG format for Designer Edition of Studio when using Silhouette. Hope you enjoy today's freebies! Be sure to browse around while you're here...you'll find more free SVG sets, digital paper packs, and printables! For cutting file fans, check out our collection of commercial use approved SVG sets in our design shop, click HERE! These are awesome, thanks for sharing!! Is it possible to apply these to an otterbox cover? Is it possible to apply HTV to an otterbox? These would work best on a case with a smooth surface that does not have any large cutout circle sections. As I have not had an Otterbox case, I am unsure as to the HTV on it... For my phone case, I used 651 permanent vinyl and applied like a sticker. Thanks so much for visiting Make it Create! Hi there, would these be available to purchase with a commercial use license? They are just so cute! 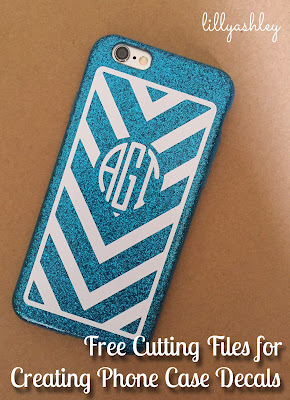 Excellent diy project, beautiful phone case. thanks for the nice idea and for sharing!